Looking for deep daily readings? He writes with a pastor's heart to encourage believers to enter into the full provision that their relationship to Jesus entitled them to realise, on a daily basis. He explains we have to present the promises of Scripture to God in prayer and faith, anticipating that he will honour what he has said. C. H. Spurgeon was known as the 'Prince of Preachers'. His Sermons drew thousands and, when printed, sold in there millions. 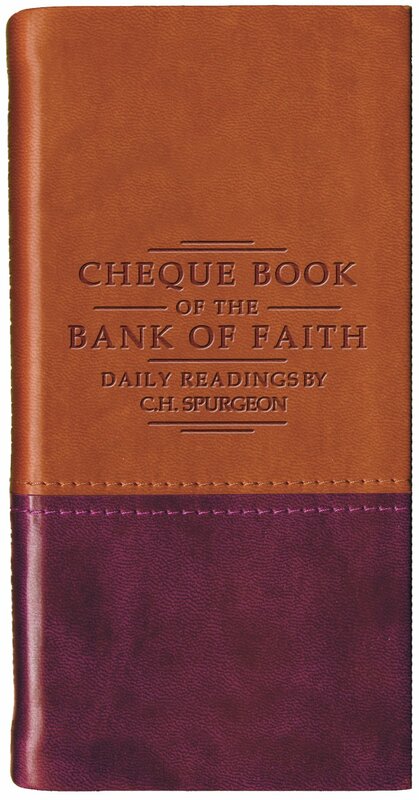 Chequebook of the Bank of Faith Tan/Burgundy by C. H Spurgeon was published by Christian Focus Publications in March 2005 and is our 13398th best seller. The ISBN for Chequebook of the Bank of Faith Tan/Burgundy is 9781845500719. 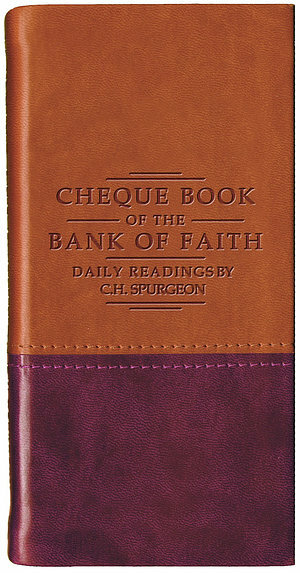 Be the first to review Chequebook of the Bank of Faith Tan/Burgundy! Got a question? No problem! Just click here to ask us about Chequebook of the Bank of Faith Tan/Burgundy. Does this book have any contemplative reflective questions in it and could you tell me what the Faith Devotional new book is all about? A:Chequebook of Faith is a collection of daily readings. Each page contains a King James Bible passage and reflective comment from Spurgeon. The book does not contain questions.